Use basic shapes to create all kinds of pictures! 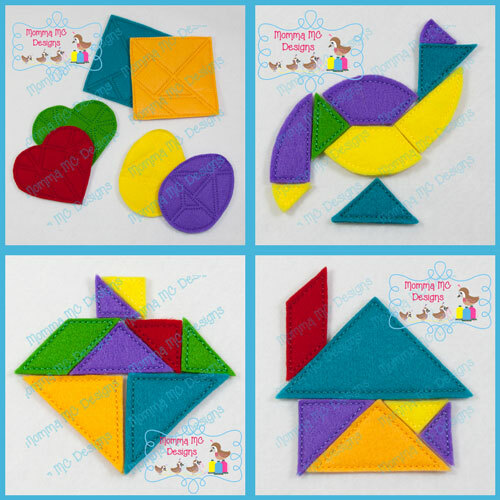 This set includes shapes within a square, egg and heart, PLUS extra shapes in various sizes - 13 files in all. 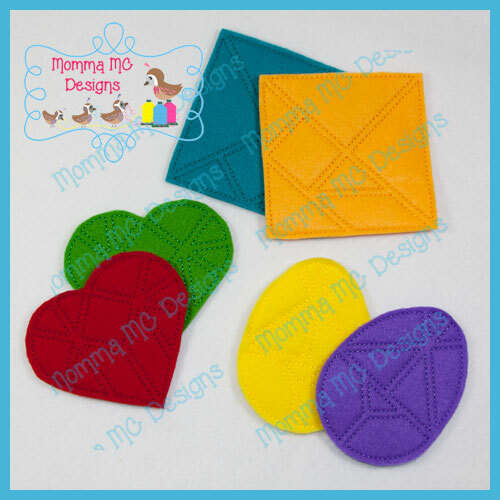 Hoop size: 100mm x 100mm (4"x4") and 130mm x 180mm (5'"x7").